I take a lot of pictures of my kids and not just for the blog. I wanted to use these pictures to help my children develop stronger emotional intelligence especially reading other people’s emotions. This may seem like an easy thing to do ” Just look at how they are feeling.” but it’s not. 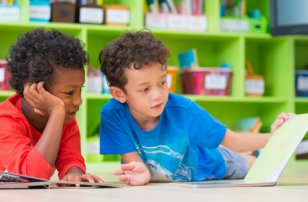 Young children are naturally self centered and giving them playful ways to stop and think about not only how someone is feeling but why someone is feeling like that is a really worthy activity. 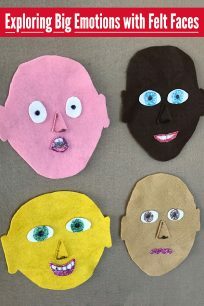 I decided to use their own faces because they are familiar with them, I am not quizzing them on reading emotions I am just trying to build this skill and using something comfortable and familiar helps them get to the heart of the lesson. 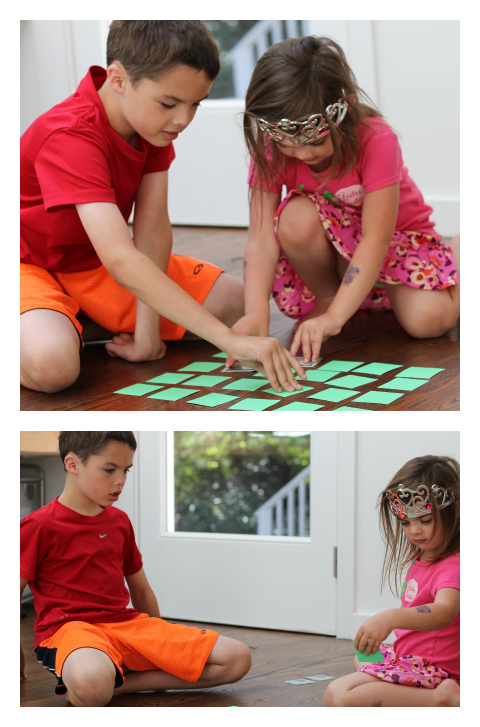 These emotional intelligence card games were a cinch to make, let me show you how! 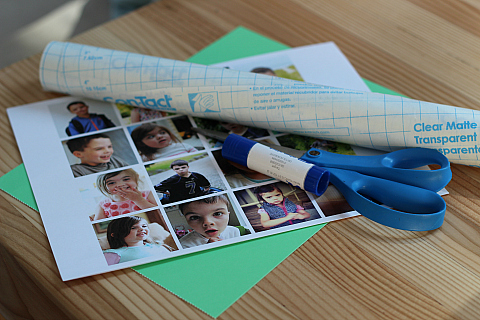 For a similar activity for a much younger audience try our DIY Emotions Photo Book. Gather your materials. 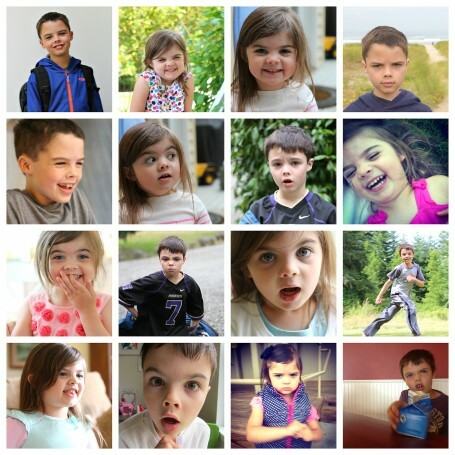 You will need some photos of your kids will all sorts of emotions. You can use other family members or friends as well but I would stick to familiar faces. 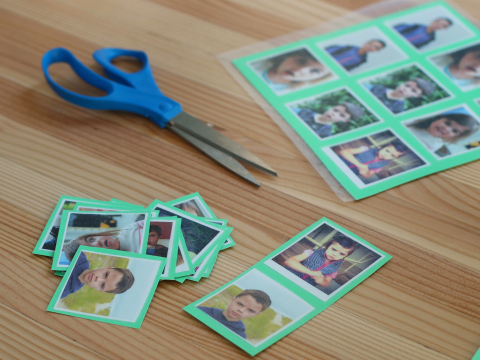 You will also need glue, card stock, scissors, and contact paper if you want to make these last for more than a few rounds of games. To make the photos a uniform size I find the easiest way is to use an online editing tool like picmonkey.com ( no I am not working with them, just a huge fan) and make a collage with all my photos, then print out two copies so I have a pair of each. I made a collage of 16 photos and then printed two copies. 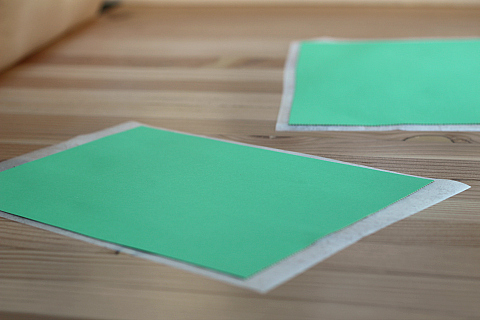 Cut them out and glue to your card stock. 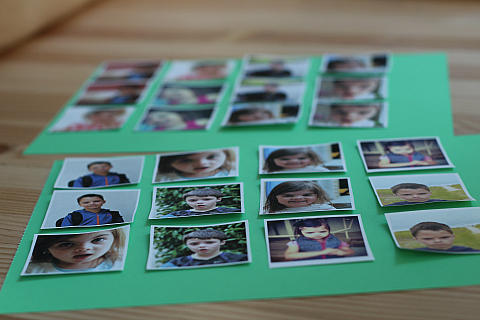 Make sure there is room between each picture so in the next step the contact paper has a spot to adhere. Place the whole sheet face side down on a sheet of contact paper. Cut out and get ready to play. Before you play go through all the cards with your kids. 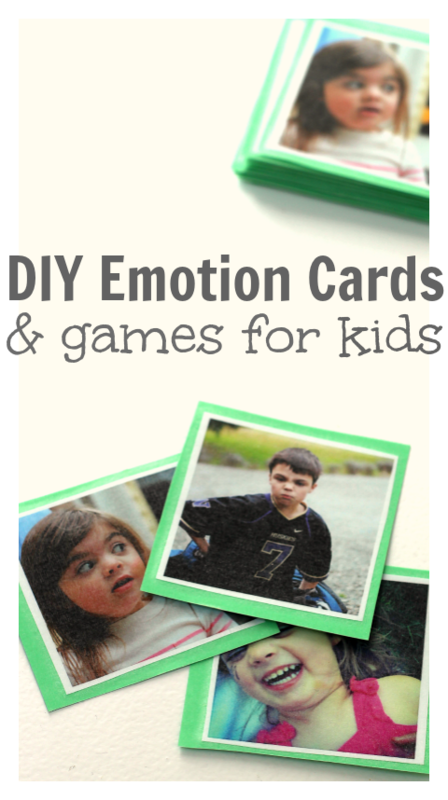 Talk about the emotions and ask them to choose 2 cards each to talk about. 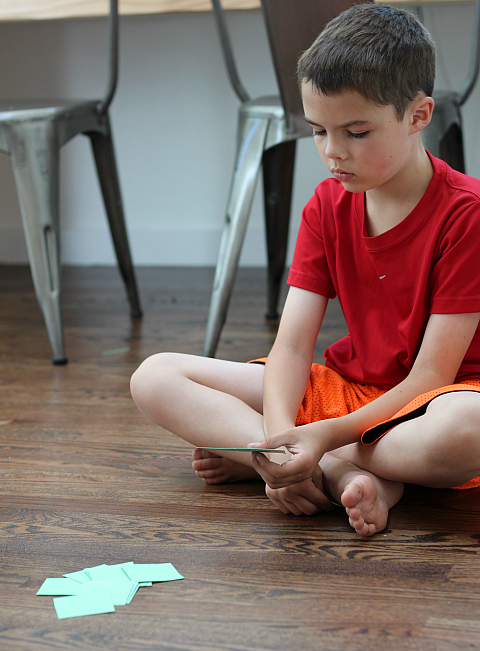 Ask them what they were feeling in the cards, ask them if they can mimic the face and how it feels to do that. Shuffle and place all the cards face down. Take turns flipping over two cards. If it’s a match yell match and then IDENTIFY the emotion on the card. The game doesn’t continue until this step is taken. Spend time helping them read the emotion if you need to. you keep the cards. If it is not a match you return them to the exact location where you got them. 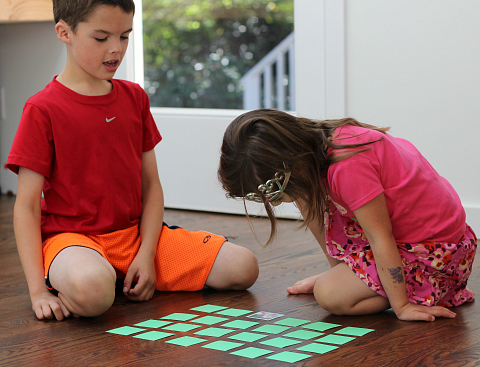 Keep playing until there are no more cards on the table ( or floor) and whoever has the highest number of pairs in their hand wins. Shuffle the cards and give each person a few. Place the rest in a messy pile in the middle. 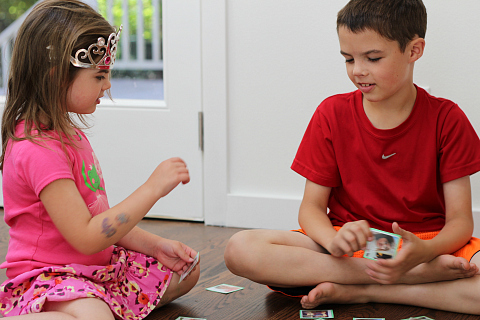 The youngest goes first asking one other player if they have a specific card. *** This is an important part of the game*** They must as for cards with the emotions. ” Do you have me feeling frustrated?” or ” Do you have you feeling happy?” this is where they will practice the skills we want them to. If no one has the match go fish. When the player pulls out the card from the pile they must identify the emotion on it if it’s a match, if not place it back into the pile. The winner is the person with the most matches. 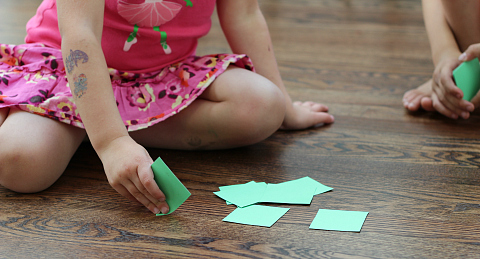 Pair activities with great books to deepen learning and understanding. 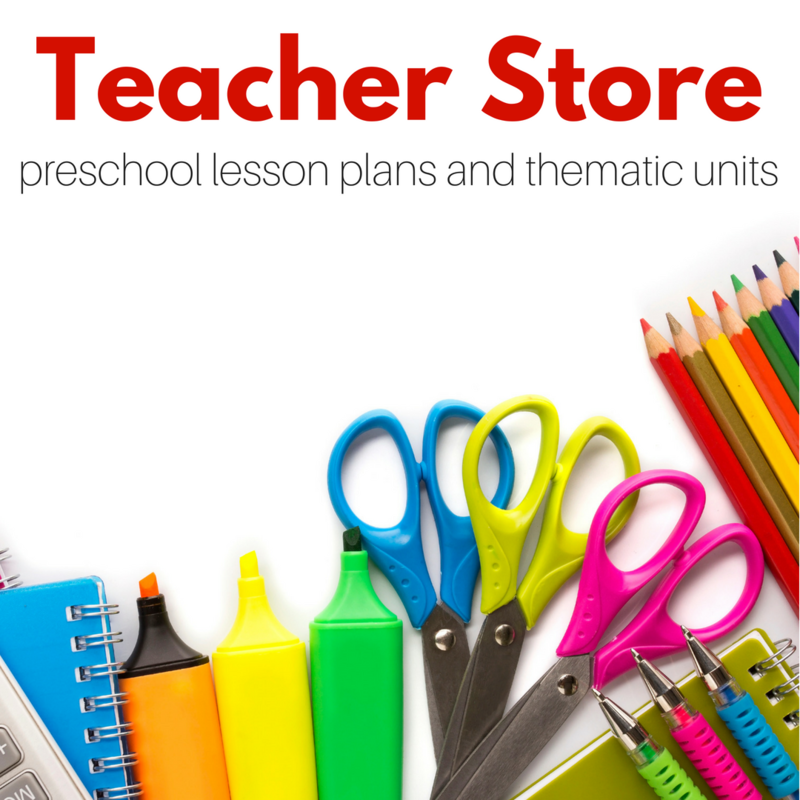 All our book lists include affiliate links. 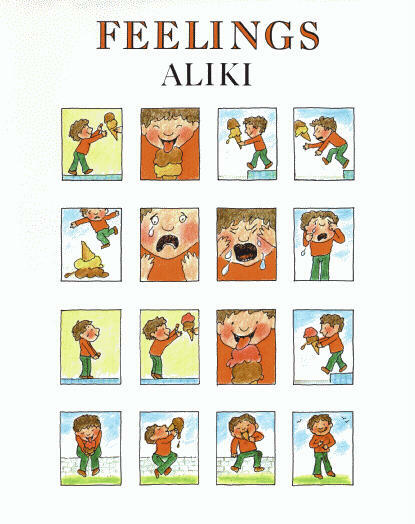 Feelings by Aliki is a book full of vignettes about emotions. From simple ones that make it clear what the children in them are feeling and how readers could see the situation to more complex and less clear ones that give readers a chance to discuss and decide for themselves what the people might be feeling. I love this book. Neither of my kids liked it as toddlers or preschoolers though. My son started really liking it at about 6 because that was when he could really talk about it all with experience and empathy. We rarely read it cover to cover instead picking and choosing pages and diving into the topic they are covering. It”™s not a sugary sweet book but it”™s an incredible tool. 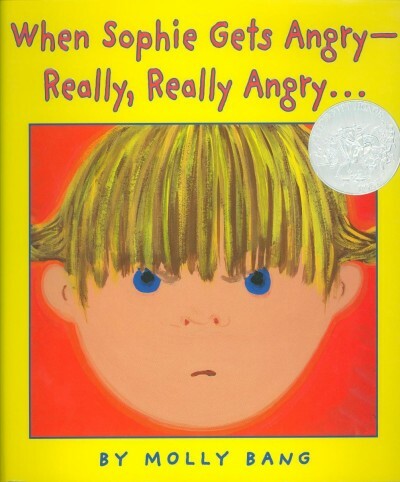 When Sophie Gets Angry”“Really, Really Angry”¦ by Molly Bang is a book I bought while teaching. I had a lot of anger issues in my classroom and we spent a lot of time reading books about anger to diffuse it. When I suggest this book to parents I often get ” Really , kids like this?” as a response because the book seems much simpler than their expectations. It is simple. It is basic and yes it does include Sophie running away from the house to go be by herself which is something not all parents like. It also doesn’t include any discipline for her outburst which is also something that I hear complaints about. Here”™s the thing what kids relate to is feeling angry, doing something about it , and becoming calm. I think Sophie has great self control , she knows that she needs to go be alone for a bit to calm down and then re-join the group. It”™s exaggerated for effect but really this book is about learning how to stop raging not about encouraging it. Kids LOVE it. They relate and love knowing that after you calm down you can be welcomed back into the group. 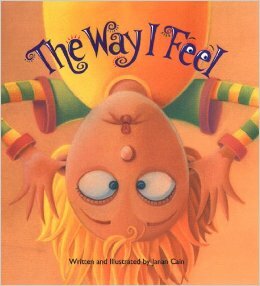 The Way I Feel by Janan Cain is a useful book. It labels feelings with a short rhyming piece of text and fanciful illustrations. While I wouldn’t suggest this as a book for a nightly read it is useful while specifically learning and talking about emotions. I like to have children show me their faces in the same feelings as the book progresses. If you are reading this with a small group or your child stop and talk about times when you felt these emotions. For more books about feelings check out our full round up by clicking here. Hi, Allison! 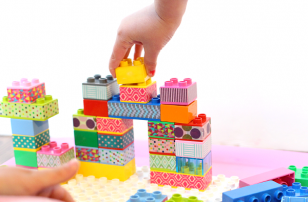 I mentioned this post in my blog recently and will be sharing some of these ideas with families at a child development/play class tomorrow. Just wanted to say thanks for the great resource! This is a wonderful idea Allison! 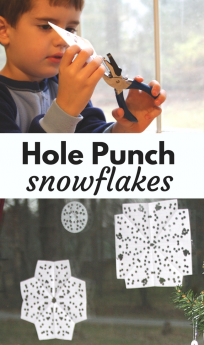 So helpful for little ones! Thanks. I am going to implement this in class. When I read “When Sophie Gets Angry” in class, I add in, “And in her imagination she…” when she runs to the lake. I follow up with a discussion of imagining calming places and have the children share where they would imaging being. Mary Ellen that is great! Thank you so much! I hope you find a lot of fun here. Great idea. 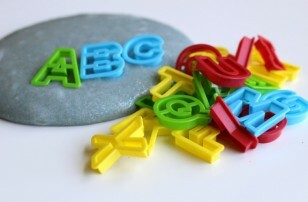 We’re just moving past the ABC’s to this really complicated feelings topic, and ABCs were much easier!!! I so need more books on coping with feelings on my site! This has given me a great idea for a new book.